The Bossier City Police Department and Bossier Crime Stoppers are asking the public for help with catching the suspects responsible for using a stolen van to steal an automated teller machine from a local store overnight. The incident occurred just before 2 a.m. today at the Dixie Mart gas station in the 3700 block of Industrial Drive. Security camera video captured the theft as the suspects are seen attaching a chain to an ATM inside the store and pulling it out with the van. The suspects then loaded the ATM into the van and drove off. The van was recovered this morning at a local apartment complex with the ATM inside but the money had been removed. Police say the van had been stolen overnight from a local business before it was used in the theft. The owners located the van by use of a tracking system upon noticing it missing. Along with the video from the ATM theft, police also released photos of a vehicle that is believed to have been involved in the theft of the van. It’s a white Dodger Charger. All of its wheels are black with the exception of the rear driver’s side wheel which is chrome. 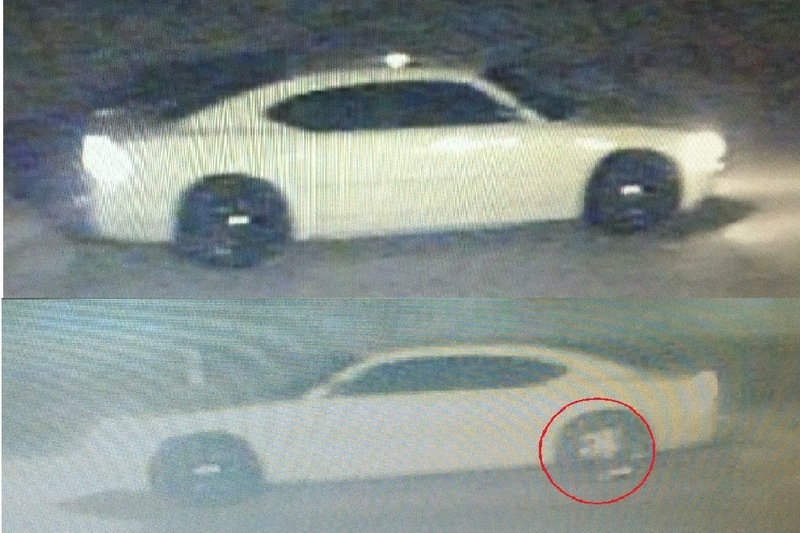 Anyone with information about the ATM theft or the Dodge Charger is asked to call Bossier Crime Stoppers at (318) 424-4100. They can also submit a web tip via the Bossier Crime Stoppers website www.bossiercrimestoppers.org. Persons who contact Crime Stoppers are reminded they may remain totally anonymous.